Kenneth E. Kendall, Ph. 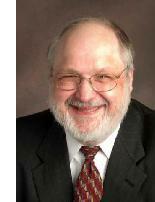 D.
Dr. Kendall is a Distinguished Professor of Management in the School of Business-Camden, Rutgers University. He is one of the founders of the International Conference on Information Systems (ICIS) and a Fellow of the Decision Sciences Institute (DSI). He is a past President of DSI. Dr. Kendall has been named as one of the top 60 most productive MIS researchers in the world, and he was awarded the Silver Core from IFIP. Ken has published over 90 research articles. He served as a Program Chair for both DSI and AMCIS (Americas Conference on Information Systems). He recently co-authored a text, Systems Analysis and Design, 9th edition, published by Pearson and Project Planning and Requirements Analysis for IT Systems Development. He edited Emerging Information Technologies: Improving Decisions, Cooperation, and Infrastructure for Sage Publications, Inc. He is on the editorial boards of ISJ, JITD, and Decision Sciences Journal of Innovative Education. He has served as an Associate Editor for Decision Sciences and the Information Resources Management Journal. Dr. Kendall is also a past Chair of IFIP Working Group 8.2. For his mentoring of minority doctoral students in information systems, he was named to the inaugural Circle of Compadres of the PhD Project, which was begun by the KPMG Foundation almost fifteen years ago to increase the diversity of business school faculty. Professor Kendall’s research focuses on studying push and pull technologies, ecommerce strategies, and developing new tools for systems analysis and design. Ken is Chairman of the Board of a Philadelphia-based nonprofit theatre, EgoPo, which specializes on producing classic theatre on the edge. Ken and his co-author and spouse, Julie, served as official nominators for the Drama League Awards in Manhattan.